A new survey shows the need to learn water survival skills at a young age is the main motivation for parents when booking swimming lessons. 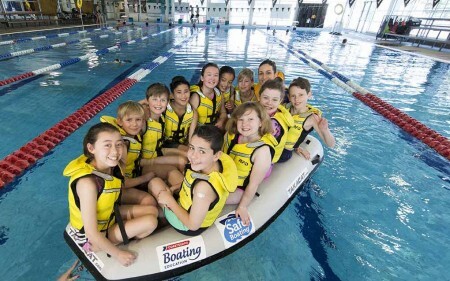 Nearly 90 percent of respondents cite water safety and learning to survive as the most important reasons for lessons, the Christchurch City Council Swimsmart survey reveals. However, only 43 per cent of the parents surveyed through schools currently have children undertaking lessons. Several parents have cited concerns over cost and time pressures. Nearly 50 per cent also believe that a child’s interest is the most important factor in booking recreational and sporting activities. Council Head of Recreation, Sports and Events Nigel Cox points out that New Zealand has one of the worst drowning rates in the developed world. “Drowning remains the third-highest cause of accidental death in this country after road accidents and falls,” Mr Cox says. 92 of the 105 drownings in New Zealand in 2017 (either recreationally or caused by a car accident or other act) have been deemed “preventable”. “We all need to be aware of the risks around water and learn to swim as a fundamental skill so that we can safely enjoy a range of situations,” Mr Cox says. “The survey underlines that parents recognise the need, and also highlights the importance of providing easy-to-access, affordable swimming lessons. The Council-run learn to swim programme offers flexible options for up to 48 weeks of lessons per year at Graham Condon, Jellie Park, Pioneer or Taiora: QEII Recreation and Sport Centres, along with unlimited access to Council pools during the term. The Council also provides free swimming at the Recreation and Sport Centres for preschool children with a parent or caregiver during the school term (from 9am to 3pm, Monday to Friday). Weekends, public holidays and school holidays are excluded.